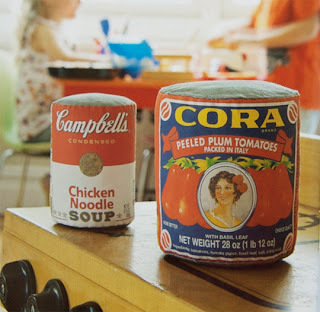 How adorable are these plush fabric cans? They're especially up my alley because they certainly don't contain any BPA in the can lining! These would make a thoughtful addition to any child's play kitchen, and they're so much more fun to manipulate and play with than their cheap plastic counterparts. 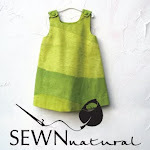 The brainchild of crafter Jodi Kahn, instructions for how to make them may be found in her book: Simply Sublime Gifts: High-Style, Low-Sew Projects to Make in a Snap.